Each month I’ve been writing a blog post about Homeschooling High School and participating the Blog Hop. This month I want to share about the Math and Science resources that we have used. It is overwhelming to think about teaching subjects like Math and Science. Thankfully there are many resources and curriculum choices for parents to consider. Some require more prep work and knowledge of the parent and others essentially teach the material, leaving mom to just facilitate learning and record grades. My absolute favorite program for teaching Algebra from Pre-Algebra concepts all the way through Algebra II is VideoText Algebra. We were blessed to review this through the Schoolhouse Review Crew and we are still using it. Yes, sometimes I have to watch a lesson a time or two and check the solution guide in order to help Tailorbear but essentially it is a program that teaches her and I am only there to administer quizzes and tests, encourage her to complete her work daily, and help her when she doesn’t understand something. Turtlegirl did really well with ALEKs, an online subscription program. It suited her personality and adjusted the pace to match her needs. She used it for Algebra I. It didn’t work as well for Tailorbear but it is still worth checking out. This is another program that essentially teaches the student. BooBear used Math U See for her high school math. She used it for Algebra I and II as well as Geometry. This program is set up to teach the teacher how to teach but can be used to directly teach the student. MUS was practically a perfect fit for Boobear and had been since we switched to it when she was in 4th grade. MUS did not work as well for Turtlegirl. Turtlegirl is currently using CTCMath for Precalculus. She used it for Geometry and she will use it to for Trigonometry as well. This is yet another online subscription program. It doesn’t suit Tailorbear as well as it does Turtlegirl so Tailorbear will be trying MUS Geometry when she finishes VideoText Algebra. Science has been a more difficult subject to find a program that I am as happy with as I have been with the math programs I listed above. If you have a self motivated student who loves to research and works very well independently you may want to consider High School Chemistry In Your Home by Bridget Ardoin. I really liked the program but it doesn’t work well with Tailorbear’s personality and Turtlegirl and I ended up setting it aside as she was too easily distracted. Supercharged Science is a wonderful program that provides the opportunity for lots of hands on learning. We had the opportunity to review it twice. It is weak for high school biology, or rather at least it was when we had access, but it is wonderful for chemistry and physics. Towards the end of our subscription, Aurora was adding more to the high school physics level. Turtlegirl completed all that was available and we are now filling in with a bit from Fascinating Physics to make sure she has covered enough for a full high school credit of physics. Turtlegirl also did several units that we’re calling Advanced Science Credits. This is very fun and Aurora teaches the students through videos. It is a bit on the pricey side but do check out Fabulous Online Science Review and my first Supercharged Science review. BooBear used D.I.V.E Chemistry with the Exploring Creation through Chemistry from Apologia as the text. Turtlegirl will use that to finish Chemistry, she did use D.I.V.E Biology and now Tailorbear is using it. It has a bit too much emphasis on religion for our family but the program is AP Level and includes labs. It’s rigorous and definitely college prep. I like that it does the teaching. The student watches lectures, reads the textbook, and completes the labs and this is all done independently. I only have to grade the work and administer the tests. The files even included grading information for weighted grading and a spread sheet to do the computations for me! A Blog Hop isn’t a Blog Hop if you don’t hop on over and visit the other blogs, right? So here’s a list of my crew friends participating this month. Check out what they have for you this month! Some of us included History this month. Some of us (me! me! me!) did not. I’ll be talking about history resources next month when I also share some of my favorite resources for English. Oh and a bit about credits for Math and Science. Generally, I use the guidelines provided by the curriculum for credit. Completion of a course is equal to one credit. VT Algebra would give a student 2 to 3 credits of Math: Pre-Algebra (which I do not put on a high school transcript), Algebra I, and Algebra II. 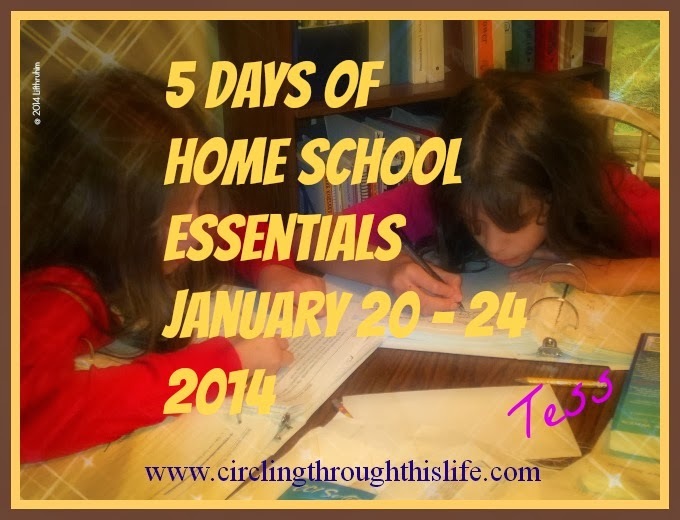 Thanks for stopping by this month’s Homeschooling High School Blog Hop! We've really enjoyed VideoText for Algebra as well, and my older son had used ALEKS for Geometry. I'm so glad for math curriculum like those that do the teaching for me!